The Hotel Roanoke & Conference Center makes it easy for guests to enjoy a delicious meal without even leaving the hotel. From healthy meals, snacks, refined cuisine, or signature cocktails, this historic hotel offers options to satisfy every palate in a beautiful setting. 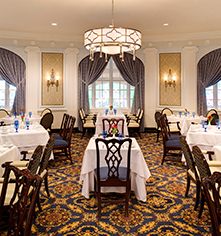 With a celebrated history, the dining experiences at The Hotel Roanoke & Conference Center boasts a variety of tastes and atmospheres to suit every occasion. 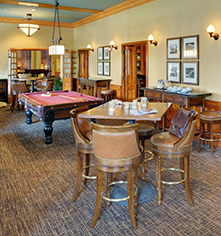 Dining options include sumptuous breakfast buffets, à la carte menus, and a fine dining dinner experience in the elegant and award-winning Regency Dining Room, now celebrating more than 75 years of service in the Roanoke Valley. The Pine Room - Boasting a club atmosphere, this casual pub offers a full bar and delicious, locally sourced American fare. 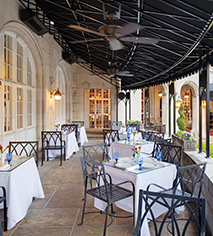 The Regency Room - A historic establishment, this refined setting serves seasonal, French-inspired Southern cuisine. In-Room Dining - Guests can order and enjoy all the delicious dining options of this historic Virginia hotel from the comfort of their room.